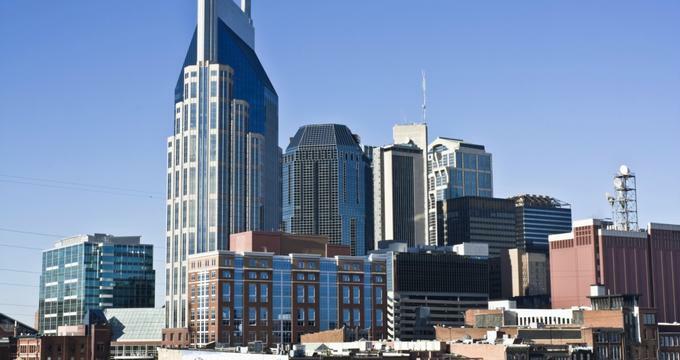 While music may be the beating heart of Nashville, breakfast comes in at a close second, and the city has a wealth of fantastic spots to enjoy casual coffee and croissants or multi-course brunch feasts every day of the week. From gourmet bistros to greasy spoons that serve freshly brewed coffee and wholesome breakfast bites, Nashville has a spot for everyone. Tuck into traditional breakfast plates of eggs and bacon at The Hermitage Diner or a hearty Greek breakfast at The Athens Family Restaurant. Try authentic Czech-style kolaches at Yeast Nashville or make your pancakes in the center of your table at the Pfunky Griddle. Here are some of the top breakfast and brunch spots in Nashville where you can try fantastic breakfast food. Located in Hillsboro Village neighborhood, Pancake Pantry is a well-known and well-loved pancake and breakfast joint that draws crowds for their famous, fluffy sweet potato pancakes. Expect to join a line of both regulars and visitors who come to tuck into the restaurant’s 23 varieties of made-from-scratch pancakes, farm-fresh egg and omelet dishes, stacks of syrupy waffles, gourmet sandwiches, and freshly prepared salads. Signature pancakes include Georgia Peach Pancakes stuffed with sweet Georgia peach compote and topped with powdered sugar and whipped cream; Caribbean Pancakes topped with pecan nuts, banana slices, and shredded coconut; and Santa Fe Cornmeal Pancakes with bacon, cheese, and green chilis, topped with picante sauce and sour cream. Located in the Arcade in Downtown Nashville in a double-story space decorated with memorabilia and mementos from the Civil and Second World Wars, 417 Union is casual breakfast and lunch spot that serves delicious cuisine and drinks seven days a week. The breakfast menu draws crowds who come to enjoy mountains of caramelized pancakes and thick streaky bacon, sizzling pork chops and eggs, breakfast plates of steak, eggs, thick-cut bacon and hash browns, and three-egg omelets. The eatery has an authentic 60-year-old soda bar that serves old-fashioned favorites like hot fudge sundaes, banana splits, floats, milkshakes, malts, and New York egg creams. Yeast Nashville is a cozy neighborhood bakery and coffee shop on Woodland Street in East Nashville that serves freshly baked pastries, cakes, and bread as well as their renowned authentic Czech-style kolaches. A popular spot for breakfast, the rustic café serves a variety of traditional fare, but they are best known for their traditional Czech-style kolaches, which are sweet pastries with fruit, cheese, or nut filling. 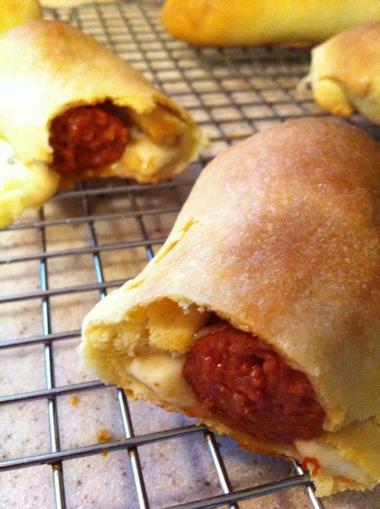 The bakery also makes them with a twist on the traditional Bohemian-style kolache and fills the dough with smoked pork or beef sausage, cheese, and jalapeños. 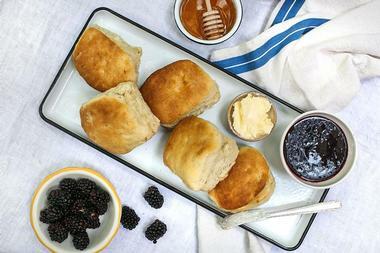 In addition to delicious kolaches, Yeast Nashville offers other freshly baked sweet and savory goodies, freshly brewed Drew's Brews Coffee, and High Garden Tea, in a cozy, casual setting. Located in the Melrose neighborhood of Nashville, Athens Family Restaurant is a traditional Greek restaurant that serves authentic Greek cuisine and drinks in a convivial, lively atmosphere. This vibrant slice of Greece serves a hearty breakfast of traditional dishes with a Mediterranean touch, like steak and eggs, multi-egg omelets, breakfast sandwiches, corned beef and hash browns, various skillets, and eggs Benedict. 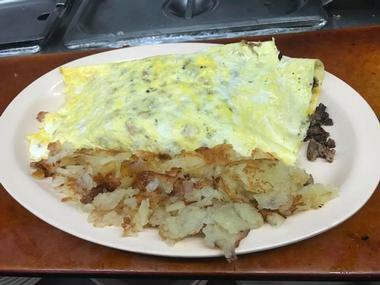 Specialty breakfasts include the Greek Breakfast with scrambled eggs, sliced tomatoes, sausages, feta cheese drizzled with olive oil, and pita bread, and the Hercules Breakfast of grilled steak with two eggs, home fries, toast, and a short stack of pancakes. Athens Family Restaurant serves breakfast, lunch, and dinner seven days a week. Boasting two locations in the Gulch and Hillsboro neighborhoods, Biscuit Love is a bright and spacious offshoot of a food truck that serves delightful breakfast and lunch fare. The cozy eatery is the brainchild of Karl and Sarah Worley, and it started as a food truck in 2012. 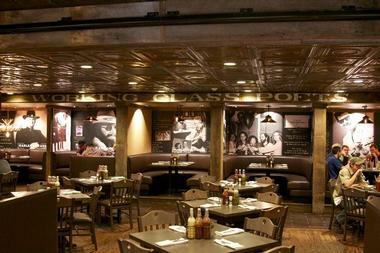 Not long after, they had a strong enough following to open two locations in the city. Serving Southern-focused, locally-sourced cuisine every day of the week, Biscuit Love has a breakfast menu of favorites like Banana Foster Oatmeal, French Omelets, Vegetarian Grits, Blacklock Hash with smoked sausage and peppers, and a variety of biscuits and gravy. Frothy Monkey is a favorite coffee shop with several locations in Nashville that offers an all-day breakfast and brunch menu in a warm and welcoming ambiance. Breakfast-goers line up for fresh, locally roasted coffee before tucking into Farm Breakfasts of eggs, bacon, pork sausage, herb-roasted red potatoes, and toast, biscuits, and gravy, or oatmeal with fresh fruit, dried fruits, and nuts. 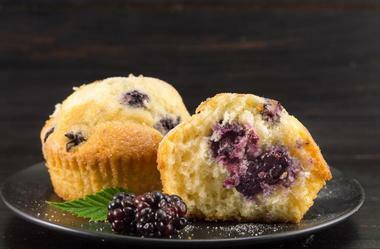 Other brunch bites include gourmet breakfast sandwiches, breakfast buns and bagels, and multi-egg omelets with a variety of delicious fillings. You’ll also find house-roasted coffee and signature coffee drinks, imported teas, signature cocktails, artisan beers, and fine wines on the menu. Located in the Omni Nashville Hotel, Kitchen Notes is an innovative farm-to-table eatery that serves traditional and sustainable Southern dishes made from treasured family recipes. Featuring stylish interiors with vintage décor and antique accents, Kitchen Notes has a central dining space and two private dining rooms for more intimate experiences as well as a famous Biscuit Bar that serves warm freshly made biscuits throughout the day. 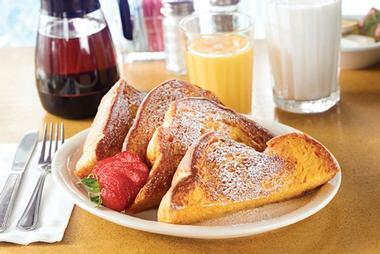 The breakfast menu features classic dishes such as Two Egg Breakfast with bacon and griddle-fried potatoes, House-Smoked Brisket Hash with sunny-side up eggs, Pan-Roasted Crab Cake Benedict, Steak and Eggs, and Garden Frittatas as well as delicious plates of pancakes, French toast, and waffles with syrup. Little Mosko’s is a small modern eatery in the Nashville Entrepreneur Center that has rekindled the memory of the renowned newsstand and sandwich shop on Elliston Place called Mosko’s Muncheonette. Founded by Scott and Cindy Moskovitz in 1977, Mosko’s Muncheonette has been transformed into a newer, 21st-century version by daughter and baker Lauren Moskovitz, but it still maintains the traditional cuisine and family-friendly ambiance of the original diner. Combining expert culinary talents with fresh, locally sourced ingredients, Chef Alex creates a tempting menu of innovative fares such as creative sandwiches, breakfast toasts, tacos, omelets, freshly prepared salads, and mouthwatering baked goodies. Little Mosko’s is open for breakfast and lunch Monday through Thursday. Located on Tennessee Highway 100 in southwest Nashville, the Loveless Café is a cozy neighborhood diner that serves made-from-scratch down-home Southern cuisine with a casual country vibe. Named after Lon and Annie Loveless, who began serving chicken and biscuits nearly 70 years ago, the café serves breakfast, lunch, and early dinner seven days a week. The immediate area consists of several unique shops that originally were motel rooms along with the Loveless Barn where events are held. The breakfast menu features breakfast plates of Country Ham, Bacon and Sausage, Pit-Cooked Pork Barbeque, Steak Biscuits, and Steak and Eggs along with a choice of hash brown casserole, grits, home fried potatoes, and hot biscuits and preserves. Other breakfast dishes include three-egg omelets with various fillings, pancakes, waffles, French toast, biscuits and gravy, homemade granola, and fresh fruit. Marché Artisan Foods is a charming European-style eatery in Five Points with airy, spacious interiors and a comprehensive breakfast menu. The light-filled café serves bistro-style breakfast dishes of artisan bread baskets of peanut butter bread, croissants, sugar brioche, and buttermilk biscuits, artisan cheese plates, fruit tartine, oatmeal with bananas and cream, and house-made granola with vanilla yogurt and bananas. Traditional breakfast plates range from egg dishes, three-egg omelets with grits and potatoes, French toast, sweet and savory crepes, breakfast hash and corned beef, smoked salmon carpaccio, and breakfast sandwiches. 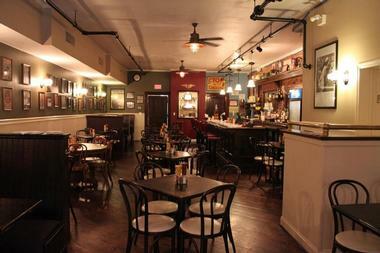 Specialty drinks include coffee and specialty coffees, hot chocolate, and Café au Lait. 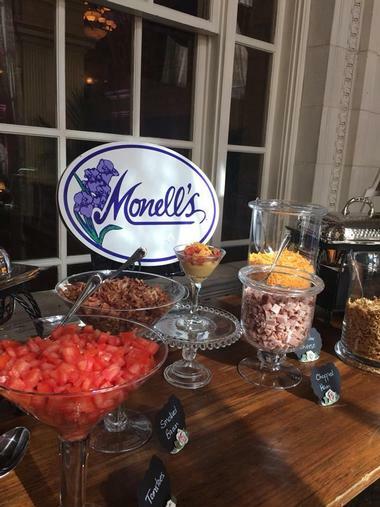 Located in a beautifully maintained Victorian house in Germantown, Monell's Dining and Catering is a family-friendly eatery with communal tables that serves all-you-can-eat Southern comfort food in a friendly, convivial atmosphere. 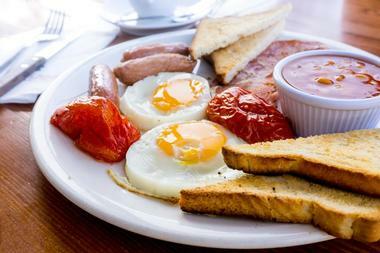 It’s one of the best places to enjoy a hearty country-style breakfast or brunch in the city, and food here is served in family-style fashion, where dishes and stories are passed around to be shared. The country brunch includes plates heaving with eggs, bacon, ham, sausage, cheese grits, hash browns, biscuits and gravy, pancakes, cornbread, skillet fried chicken, fried apples, and bottomless coffee. Noshville Delicatessen is an authentic 1950s-themed New York-style delicatessen in Green Hills with a heavenly menu of delicious deli fare for breakfast, lunch, and take-out. Using fresh, locally sourced ingredients and farm-fresh produce, the low-key eatery is a favorite breakfast spot with a favorite all-day breakfast menu. Dishes include griddle cakes with eggs, bacon and sausage, three-egg omelets with various filling, French toast and pancakes, cinnamon rolls and homemade granola, corned beef and hash, and steak and eggs. You’ll also find traditional deli fare such as matzah brei, water-boiled bagels and lox, and Reuben sandwiches, while drinks include a range of fresh fruit juice, sodas, coffee and coffee specials, imported teas, and bottled water. Pinewood Social is a trendy hangout and hip café that has two locations around the city and serves an excellent weekday breakfast or weekend brunch of New American cuisine in an industrial-chic space. Breakfast and brunch plates range from house-made granola, avocado toast, and buttermilk biscuits and gravy to a variety of eggs dishes and omelets with several fillings, breakfast tacos and sandwiches, steak and eggs, and waffles. Signature dishes include chicken and biscuits with sausage gravy and the Monte Cristo with smoked turkey and bacon, Gruyere cheese, brioche, and orange marmalade. There is also a variety of freshly baked pastries, muffins, and scones. Pinewood Social is open for breakfast, lunch, weekend brunch and dinner, and late-night dining seven days a week. 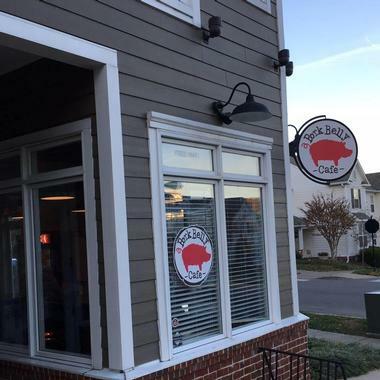 Pork Belly Café is a bright, modern counter-serve café on Lennox Village Drive that serves gourmet breakfasts and light lunches of fresh salads, sandwiches, and baked goods. Renowned for their pressed panini-style sandwiches with gourmet toppings, the café focuses on serving made-from-scratch sandwiches, fresh salads, and home-baked bread, rolls, scones, muffins, and cakes, all of which are made from locally sourced ingredients. Signature sandwiches include the Lenox Square Grilled Cheese, the Shaved Pork Loin and Asian Vegetables, and the Smokey and the Bandit, which features smoked pork and ham, smoked turkey and gouda cheese, spicy aioli, and Chicago-style giardiniera on wheat bread. proper bagel is a chic counter-serve New York-style bagel, coffee shop and deli on Belmont Boulevard that serves authentic boiled bagels, gourmet sandwiches, fresh salads, and Barista Parlor coffee. The café is stylish and sleek with a black and white color scheme, ample light, and four-top tables and chairs, creating a warm and welcoming ambiance enhanced by the friendly staff. The menu features a wide variety of bagels ranging from bialys, everything, plain, poppy seed, kale, spinach, pumpernickel, dark rye, and more, along with a selection of toppings including meat, cheese, salmon, and salads. The deli has a grab-‘n-go market with a range of prepared meals, one-of-a-kind smoked fish flown in directly from Brooklyn, New York, and sweet desserts. Once a grocery store in the 1950s and now one of Downtown Nashville’s best spots for breakfast and weekend brunch, Puckett’s still maintains an old-general-store feel with vintage décor and wooden finishes and a warm and welcoming atmosphere. Signature dishes include mouthwatering pulled pork, hot barbeque, and sweet potato pancakes, but other breakfast dishes like the country ham and biscuits with thick gravy and French toast with bananas, peanut butter, and fresh fruit are just as tasty. Tuck into eggs Benedict with topped with two fried eggs, bacon or sausage, white pepper gravy with a side of grilled chicken or country ham, and pair it with a Bloody Mary or a Mimosa for the perfect Sunday brunch. Situated on the east side of the city, the Sky Blue Café is a quaint, hidden treasure in East Nashville and a favorite haunt for breakfast-goers. While the décor might be a little eclectic with mismatched table clothes and an unusual collection of salt and pepper shakers, this gem of a café has a superb breakfast menu of buckwheat pancakes, eggs benedict, Nutella and banana-stuffed French toast, three-egg omelets with delicious fillings, and breakfast burritos. Sky Blue Café also serves a fantastic variety of beverages from Drew's Brews Coffee, including espressos, cappuccinos, and frappes as well homemade chocolate milk, which you can enjoy with an array of freshly baked pastries and sweet treats. Sky Blue Café is open for breakfast and lunch, seven days a week. 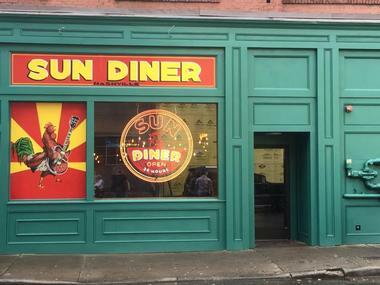 The Sun Diner is a 24-hour Sun Records–themed diner that pays homage to Sun Records’ legendary artists. Located in the SoBro-Downtown area of Nashville, the quirky café serves a variety of classic Southern favorites and hearty breakfast specialties such as smoked salmon quesadillas, bagels and lox, donut breakfast sandwiches, steak and eggs, chicken and waffles, and Banana Fosters pancakes. Don’t miss signature dishes like the Pork Belly Benedicts, the Short Rib Hash, and the “Cry, Cry, Cry” hot chicken wings, which promise to satiate even the toughest appetites! Sip on freshly brewed house-roasted coffee, fresh fruit juices, and sodas. Sun Diner is open 24-hours, seven days a week. 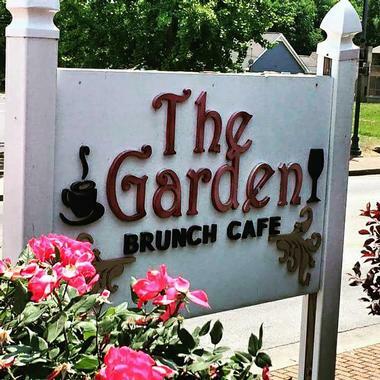 The Garden Brunch Café is an arty spot with a friendly vibe that is only open on the weekends for breakfast, brunch, and lunch. 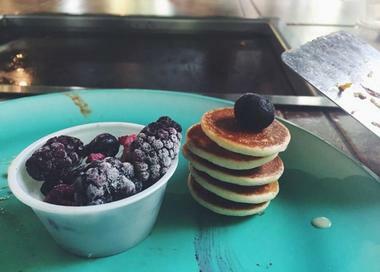 Weekends are packed with regulars and visitors who come to enjoy thick stacks pancakes piled with banana slices or fresh blueberries and strawberries and smothered in maple syrup and three-egg omelets with hearty fillings. Signature dishes include Champagne Apple French Toast, the Jefferson Street Benny with eggs, turkey bacon, cheese, and hollandaise sauce over English muffins, and the Germantown West Benny, which boasts poached eggs, smoked salmon, wilted spinach, cherry tomatoes, and sautéed pink onions. The Nashville Biscuit House is a casual café with a drive-in window that serves a menu of down-home fare for breakfast and lunch. Located on Gallatin Avenue, the café’s breakfast menu is available all day and features a mix of classic and favorite dishes along with creative takes on traditional breakfast plates. The extensive menu boasts plenty of eggs done in several ways, omelets with mouthwatering meat and vegetable fillings, breakfast, biscuit and toaster sandwiches, and biscuits and gravy. Signature plates include The Nashvillian with eggs, country ham, pork chops, grits, home fries, and toast and The Lumberjack with eggs, bacon, country fried steak, grits, potatoes, French toast, and biscuits. 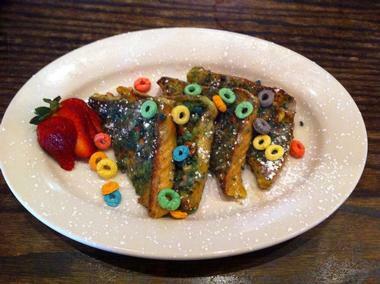 Located in Berry Hill, The Pfunky Griddle offers a unique dining experience where diners are the cooks! The house-turned-restaurant has tables with built-in griddles in the center, and guests are given all the ingredients needed to prepare their breakfast, such as eggs, milk, bread, etc. 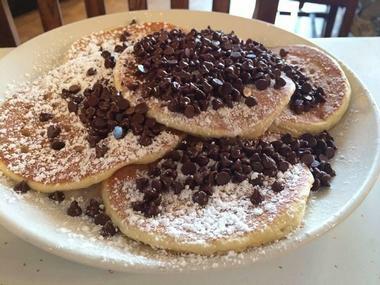 The quirky café offers excellent specials such as all-you-can-eat pancakes with a variety of 25 toppings to choose from as well as off-the-griddle dishes for those who don’t want to cook, such as gourmet sandwiches and wraps, homemade soups, and fresh salads. Coffee-lovers will delight with the café’s house-roasted La Sierra Coffee, which is available in several ways, from espresso to cappuccino. 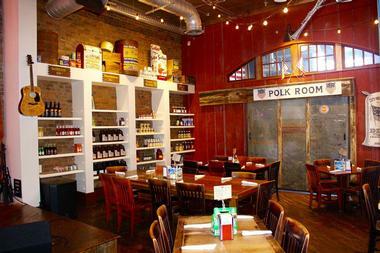 The Row Kitchen & Pub is a casual and contemporary eatery on Lyle Avenue that attracts a diverse crowd of food-lovers. Come and enjoy the restaurant’s Nashville-inspired Southern comfort food along with regional craft beers, an extensive collection of homegrown whiskeys, and live music. Open for breakfast, lunch, dinner and weekend brunch, the Row serves a creative breakfast menu of classic dishes such as biscuits and gravy, beignets, pancakes with sweet and savory toppings, eggs dine in several ways, three-egg omelets with a variety of fillings, steak and eggs, and fried chicken and country-fried steak and eggs. Lighter options range from steel-cut oatmeal with fresh fruit and granola to breakfast parfait and fresh fruit bowls. Located on the ground floor of the Pinnacle at Symphony Place in the heart of downtown Nashville’s trendy SoBro district, The Southern Steak & Oyster offers an authentically Southern culinary adventure with an unusual flair. 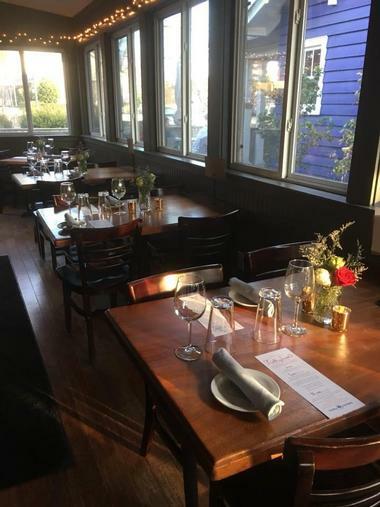 The eatery features a modern shuck-to-order oyster bar and a wood-fired grill where locally sourced prime meats and fresh seafood are prepared. 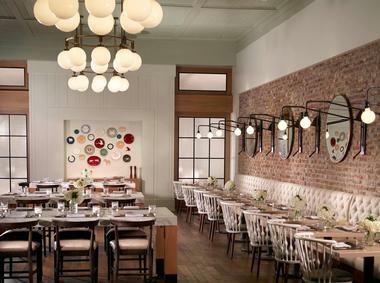 Diners can sit at the bustling New Orleans-style oyster bar and watch the chefs at work or in a more private high-backed booth to enjoy time-honored dishes from around the world that are prepared from scratch and served with Southern sensibility. Private dining is available in the Demonbreun Room, and the Southern Steak & Oyster is open for breakfast, lunch, and dinner seven days a week. 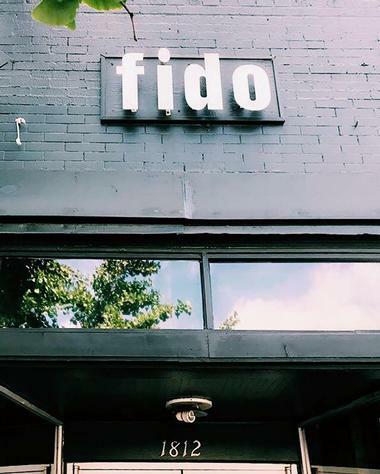 Fido is a fun, family-friendly converted pet shop with a quirky, coffeehouse vibe that serves gourmet coffees and espresso drinks along with modern comfort food in an inviting yet gritty atmosphere. Boasting exposed brick walls, study hall tables, and local artworks on the walls, Fido presents refined dining with a rotating roster of local and seasonally influenced entrées for lunch and dinner and breakfast dishes, bagels, and organic muffins for morning patrons. A Hillsboro Village landmark, the former pet shop serves a hearty breakfast of Chilaquiles, Steak Scramble, Smoked Salmon Scramble, Huevos Rancheros, Sweet Potato French, Pancakes with Vermont maple syrup and whipped cream, and Buttermilk Semolina.